How important is forgiveness in one’s realization of greater and greater levels of true health? “Probably the most painful and arduous aspect of ‘true effort’ is the notion of ‘true forgiveness.’ It is inclusive of forgiveness of ourselves and forgiveness of others: In actuality the two often reflect upon one another and/or are one-in-the-same. In learning to witness this issue in a clear and unblemished fashion, we may realize a sense of true compassion – gathering significant insight into the notion that we are all in the same boat: Hence, the Same Boat Theory, e.g., the primary fault of mankind is the notion that you are there and I am here. Our entire outlook on life can quite commonly have a direct connection with the issue of forgiveness. In being faithful to the spirit of truth, we all can obviously look at our experiences and see that each of us has uncountable things for which we can choose to forgive or choose not to forgive in ourselves and others: It is likely we have all made the same mistakes that we see others make. Within each of us, wars and famines of our spirits are reflected back and forth between us and the greater world. For instance, when wronged by others, we have a choice as to how to respond: We can choose to make matters worse by acting in spite, or we can choose a healthful mien through which we can forgive – displaying true (unadulterated) compassion in a spirit of dignity, decency, goodness, and grace – all-the-while making it clear to the wrongdoer that the behavior is wrong and unacceptable. What are those benevolent and sparkling spine-tingling/shivering feelings REALLY about? Why would I address this? Please check it out and share your thoughts (and just to be certain, I am NOT in any way referring to anything sexual). And PLEASE know that the spirit of this commentary is in NO WAY elitist or to purposely/blindly speak of things ‘out in left field,’ or ANY such thing. I am setting this forth in a benevolent spirit of humility and respect (AND another ‘please,’ i.e., know that it is quite clear that the concepts herein are not in any way a broad part of our Western culture). In the Far East, what I am speaking to is coined chi/qi (in China), ki (in Nippon/Japan), and pranha (in Indian Sanskrit). ‘Chi’ is pronounced ‘chee,’ ‘ki’ is pronounced ‘Kee,’ and ‘pranha’ is pronounced just the way it looks – with soft ‘a’ sounds, similar as in a round ‘ball.’ In the ages-old arts that I teach, coach, and endeavor to follow, acupuncture theory, tai chi chuan, and chi kung are inclusive of teachings in which we teach/direct means by which to QUITE substantially strengthen our chi/bio-electric energy for health/wellness & in promoting pertinent skills (inclusive, but not limited to being a very important aspect of True Health). What does it actually feel like, at such TRULY substantive/skilled levels? In many ages-old similar traditions, it is quite clear that this knowledge has all but been lost. There are three facets: (1) One must be truly skilled in all-of-the-time abdominal/diaphragmatic breathing (the benefits are profound); (2) One must realize True Skill in (as is coined in my specific tradition) Playing the Part of the (unblemished or next-to-unblemished) Witness with regard to one’s internal/external environments; (3) one must learn the True Skill of realizing enhanced levels of bio-electric energy AT WILL, i.e., benevolent, altruistic sparkling spine-tingling/shivering feelings/sensations; and learning the skill of associated guided imagery in moving this ‘golden elixir’ (as a meditative health practice, i.e., for preventive and treatment purposes). Not meant in the spirit of being difficult, but what I’m speaking of (what enhanced bio-electric feelings feel like) is NOT different for each individual – it is VERY much the same. We likely have all had those loving ‘spine-tingling moments’ occasionally during our lifetimes: Congruent with Eastern traditions, this ‘feeling’ is (whether by happenstance or with purpose) enhanced bio-electric energy (chi). Congruent with acupuncture theory, this skillfully enhanced/fanned bio-electric energy is foremost associated with the ‘kidney chi’/’original chi,’ the bio-electric energy which we are born with (for health/wellness purposes – the goal is to mindfully center it in the body’s associated ‘furnace,’ i.e., residing in acupuncture point CV#8/’real tan tien’ area (behind the navel) – aligned with the ming men, and also strongly associated with the circulatory ‘lower tan tien’ – CV#6 – 2.5 inches below the navel). The ‘feeling’ has intrinsic relationships to what is coined as the ‘Accumulation of Light’ (or ‘Lightness’), and also “A Glimpse of Heaven,” (i.e., according to these teachings, as strange as it MAY sound to many, it is what it feels like in Heaven – at least according to the specific tradition within which I was taught). 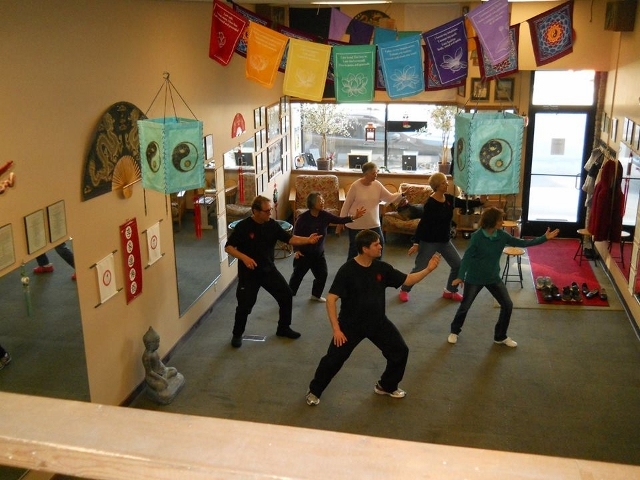 The philosophical/theoretical facet of this school of thought in my tradition of TCM/chi kung/tai chi chuan is coined Ming Chia (a type of Tao Chan/Zen), i.e., the Bright Beautiful School of Thought (as set forth in my book). As said earlier, it can only be best/skillfully/at will realized in congruence with diaphragmatic breathing and unblemished Witnessing (without precognition or expectations). A primary goal is to learn to gather a deep abiding sense of true appreciation of the miracle of the moment. As stated earlier, most people during their lifetimes have likely experienced those special loving and/or sentimental-seeming moments, in which they have those feelings/realizations (usually emanating from the abdominal/lumbar area). In the arts that I teach, this is an unintentional realization of enhanced bio-electric energy. As said, a goal in this form of guided imagery/meditation is to learn to fan the furnace, stronger and stronger, until one can realize those feelings AT WILL: This (traditionally viewed) can only be done by way of emptying the mind of all pernicious cyclical thinking/expectations…and/or focusing ONLY just EXACTLY on what one is doing). Accordingly, this is a significant aspect of what we so quite altruistically/respectfully coin as True Health: Once one accomplishes this, the possibilities are quite broad, i.e., inclusive of learning to move the ‘cursor’ (enhanced bio-electric energy) on meridians/pathways. One of the ultimate goals in this art is to learn to do this in ANY setting in one’s daily life – not just with regard to sitting meditation. It is said that 90% is breathing correctly and/or breathing correctly in time WITH relaxed/mindful movement…but the other 10% is the added benefit of more and more skilled guided imagery added into the mix (inclusive of fanning the furnace and emptying one’s mind or focusing on JUST one thing/what one is doing). Resonant/healing single syllabic or multi-syllabic sounds can also be added into it. What can I do to make this day forever splendidly and lovingly unforgettable? Is it my responsibility? How about each day, even each and every moment…NO MATTER the quality of the day, the moment – choosing to find a means by which to make even the most difficult of days/moments into splendid blessings that we will never forget? Do we have such wherewithal? Being a student of life, i.e., as a living loving art form…what is your outlook? So quite humbly speaking, students of life, i.e., as a living loving art form (*who realize their genuine responsibility in making the world a better place), might gather objective selfless insight into the Noble Paths of ‘healthful thinking’ and ‘healthful action,’ displaying themselves with dignity, decency, goodness, grace, and honor/integrity…doing right for the sake of doing right…leading by example. 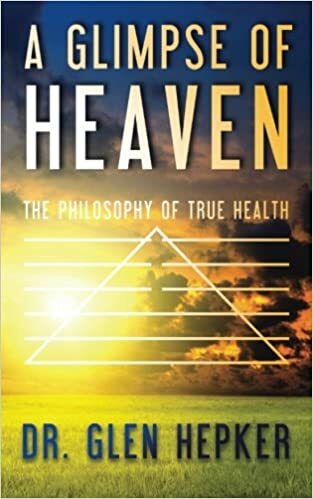 They might take true personal responsibility for their own health and well-being, while learning to better and better take ownership of the notion that blindly living with craving, desire, and fear of healthful change is not a medium by which to undergo the Healthful Noble Path(s). Consistent with this healthful spirit, it is quite significant to be benevolently aware that the common concept that we are all separate beings is a faulty notion which is humankind’s greatest encumbrance/handicap. It is so very much about true forgiveness, and true honesty which is promoting of true happiness and true freedom…but most importantly, needing less and less to hide behind. It is SO very much about learning to realize the genuine skill of embracing living loving sparkling spine-tingling/shivering moments/feelings/’glimpses of heaven’ – AT WILL.